Hand-made one piece resonant carbon fibre guitars with built in acoustic chambers which gives the guitar a great sound and long sustain. 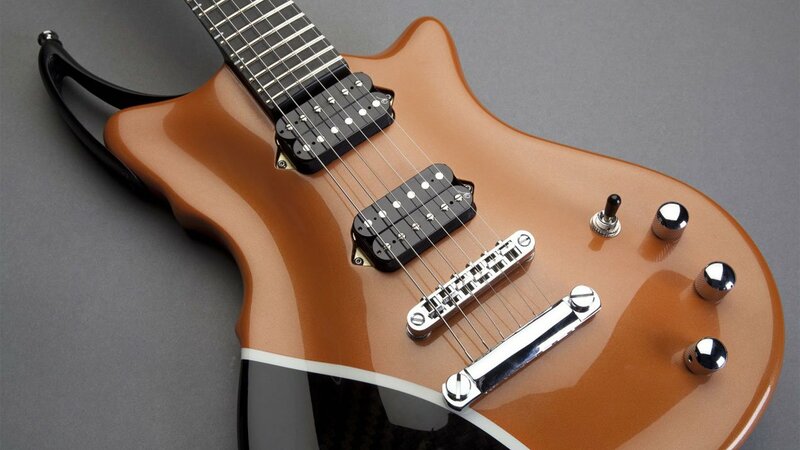 They produce two models – Ruth and Grace – with 22 fret or 24 fret necks. Beautiful build and finish as you would expect; also lightweight, tough and durable so you can take them anywhere! 2018: sadly no longer made – being a small innovative guitar maker is tough, but if you shop around you can still find them on the second hand market.